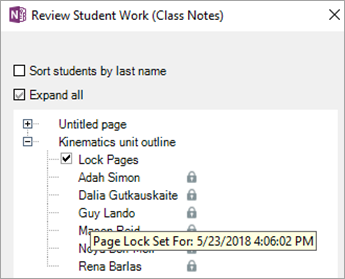 Prevent students from making further edits to a page in your Class Notebook while you're reviewing it, after the due date has passed, or at any time. While a student page is locked, you can view and make comments, but the student will only be able to view the page. OneNote for Windows 10 app - See instructions below. OneNote for iPad - See OneNote for iOS instructions below. OneNote 2016 with February 2018 update or later. To check, select File > Account and look for the Build number next to the Version number under "About OneNote 2016." To check, select the ... ellipses icon in the top right corner, then Settings > About. To check, select OneNote from the menu bar, then About OneNote. To check, select the ... ellipses icon, Settings, and scroll to the bottom of the screen. To check, select the ... ellipses icon, Settings > About. First, make sure you are connected to the internet so your changes will sync with your students' notebooks. 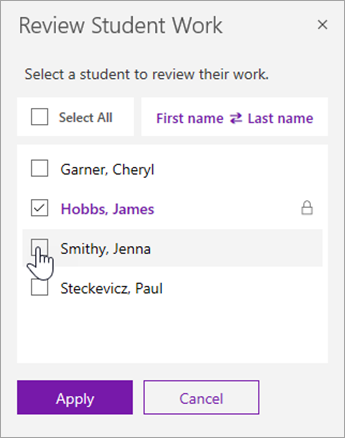 Open OneNote and navigate to the Class Notebook you need to edit. Select Class Notebook > Review. Choose the notebook section you're reviewing. 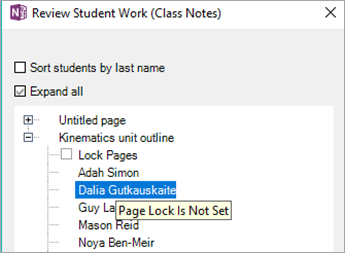 Expand the list of student names underneath the assignment you need to lock. Select the Lock Pages checkbox to lock this page for all students. 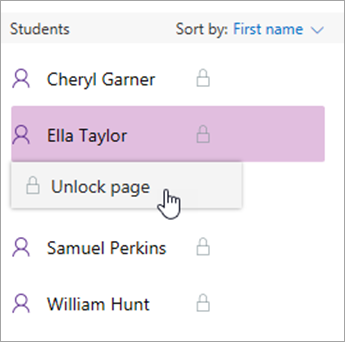 Right-click a student's name to lock a page individually. Tip: Another way to lock pages is to right-click on a page and select Lock Page. 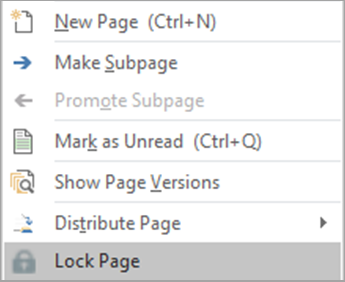 To undo page locking, return to the Review pane or right-click a page and select Unlock Page. Select Class Notebook > Review Student Work. Choose the notebook section and page you're reviewing from the dropdowns. 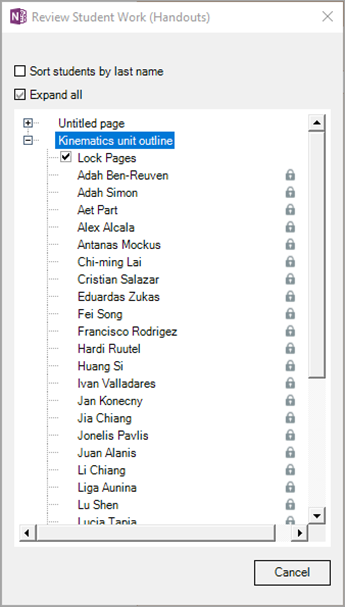 Right-click or long press a student's name to lock a page individually. 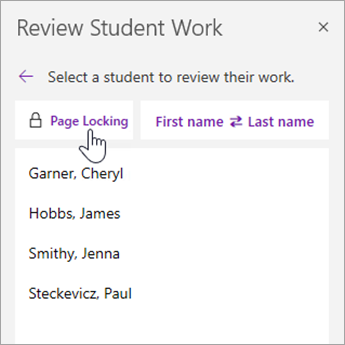 To undo page locking, return to the Review pane and uncheck the Lock pages checkbox or unlock by individual student.